M.O.C. Woodworks® is a subsidiary of NePalo Cabinetmakers as such we are committed to the highest standard in craftsmanship, design and materials. We are excited to introduce one of our first products M.O.C. Board a magnetic wood board which we call M.O.C. Board. 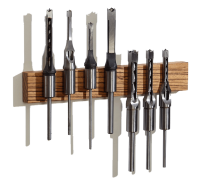 It is a versatile storage solution for your knives, small tools, and anything else that is attracted to a magnetic field. 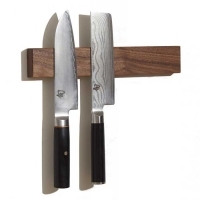 The magnetic knife rack, magnetic knife holder or magnetic knife strip; comes in different wood species includding Cherry magnetic knife holder or knife strip, Walnut magnetic knife holder or knife strip, Maple magnetic knife holder or knife strip, Mahogany magnetic knife holder or knife strip, Lacewood magnetic knife holder or knife strip, Wenge magnetic knife holder or knife strip, White Oak magnetic knife holder or knife strip, Bubinga magnetic knife holder or knife strip, and Zebra Wood magnetic knife holder or knife strip. 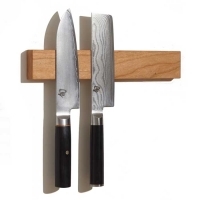 If you want a magnetic knife holder to store your Shun, Henckels, Wüsthof, Messermeister or other knifes a M.O.C. Board is the right solution. 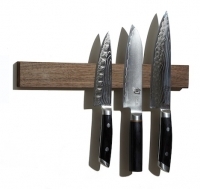 We are introducing the option to order your Custom magnetic knife holder or knife strip, check it out! 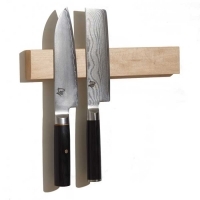 Now with the custom option you can choose the size of your custom magnetic knife holder and the wood of your custom magnetic knife strip! When Shun needs custom display units they come to us! We are honored to have been included in the 2018 Gift Guide by A Cook's Canvas, check them out! The newest addition to the retailers that sell our M.O.C. 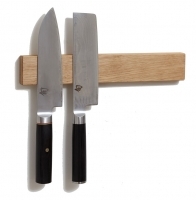 Boards is Carter Cutlery check our magnetic knife holders! One more addition to the retailers that sell our M.O.C. 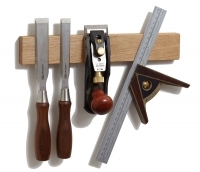 Boards is BESPOKEPOST check our magnetic knife holders! Thanks to Jessie and Laurent for their flattering profile featuring a review of the magnetic knife strip, " When Creativity & Passion Unite…"
We have another review, this one talks about the M.O.C. 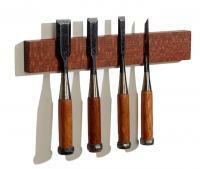 Board as a storage solution for gardening tools, AZ PLANT LADY reviews our magnetic knife holders. The Knack just posted a great review of the M.O.C. Boards, Thank you!